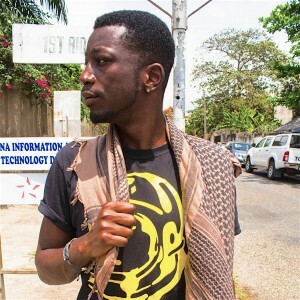 Kobi Onyame moved to Ghana at the golden age of Ghanaian HipHop music, 1999 when Hiplife, a mix of HipHop using local languages and Highlife melodies was blowing up. Soon he became part of a generation that was building a new Ghanaian sound. 2003 he moved back to the UK and worked on his solo project. Today almost 15 years later Kobi Onyame visited Accra again to shoot the video to his latest project, the single ‘Imminence (Only Matter of Time O)’. ‘Imminence’ fuses soulful HipHop sounds using African horns and adding a touch of Global Bass from Glasgow, where he is based. When Kobi moved to Ghana in 1999 he joined a Hiphop collective called ‘Haatsville Music’ with fellow rappers Scratch, Myth and Jayso based around the university in Legon. During that time Kobi learnt to produce music, looking up to rappers like Reggie Rockstone, who became a central figure, popularizing Hiplife in Ghana and sitting next to one of the masterminds of this new sound: Panji Anoff. Panji had always put great efforts into a good production, using live instruments to work on a strong identity of a Ghanaian sound. He is one of the pioneers of Hiplife in Ghana, producing Talking Drums song ‘Aden’ in 1993, one of the first Ghanaian HipHop jams. He also managed PLZ in London in the early 90s, the group Reggie Rockstone later emerged from. Both have been enthusiastic about their vision of creating an internationally successful pop music with a heavy Ghanaian flavor. The international market didn’t really pick up the new sound but in Ghana their musical update became hype. In 2002/2003 ‘Haatsville Music’ split up and Kobi Onyame went back to the UK where he started to work as a solo artist, putting out his debut album ‘Green Green Grasses’ in 2011. Among others it features fellow UK rapper of Ghanaian decent Sway and multi-instrumentalist and singer M3nsa. Kobi and M3nsa knew each other from their time in Accra, where M3nsa, son of the lead guitarist Ebo Ansah of Ghanaian supergroup Osibisa, was running a studio. Later on, Kobi teamed up with other Ghanian rappers living abroad like M.anifest, who moved to the states in 2001 to study. After becoming the voice of a Pepsi commercial, M.anifest released his debut album ‘Manifestations’ in 2007. Also Blitz the Ambassador moved to the states that time, following the dream Reggie Rockstone once had of making it abroad. 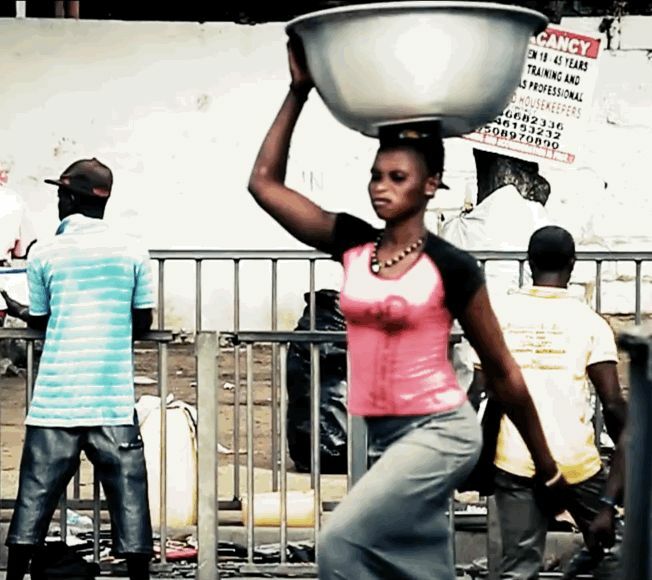 In Ghana he had already been active, known as Bazaar featuring on a track called ‘Deeba’. Many rapper in Ghana stick to their dream of making it abroad by imitating the latest trends in the West. For Kobi Onyame its ‘only a matter of time’ that Ghanaian Hiphop will find itself. Currently he is working on his third studio album drawing inspiration from both: The golden age of Ghanaian High- and Hiplife, as well as the golden times of soulful HipHop with Boom Bap in New York.